The Best Celebrity Gossip blogs from thousands of top Celebrity Gossip blogs in our index using search and social metrics. Data will be refreshed once a week. Also check out Celebrity Gossip Videos from Best 20 Celebrity Gossip Youtube Channels. 2.25 MissMalini | Bollywood! Fashion! Beauty! Lifestyle! 2.33 Bollywood Journalist | The Indian Film Industry. Unmasked. 2.38 Oh No They Didn't! - The celebrities are disposable. The gossip is priceless. 2.45 Lainey Gossip - Celebrity Gossip, News, Photos, Rumours. 2.48 Go Fug Yourself - Because Fugly Is The New Pretty. 2.59 VIP Magazine - The home of Irish celebrities. 2.63 Male Celeb News - Check in on Your Favorite Male Celebrities and See What They've Been Up To! 2.64 Jasmine Brand - Providing the latest in pop culture, celebrity news and fashion. 2.73 All About The Truth - The Real Housewives | News. Dirt. Gossip. 2.78 Karen Civil - Entertainment The Civil Way! 2.84 Paparazzi Jamaica - Celebrity Gossips, Dancehall News, Reggae. 2.107 Celebrity Gossip - Gossips, Rumors, Celeb News and Dirt - UPDATED! Celebrity Gossip newsletter is a comprehensive summary of the day's most important blog posts and news articles from the best Celebrity Gossip websites on the web, and delivered to your email inbox each morning. To subscribe, simply provide us with your email address. Hollywood, CA About Blog Your source for entertainment news, celebrities, celeb news, and celebrity gossip. Check out the hottest fashion, photos, movies and TV shows! Facebook fans 10,166,099. Twitter followers 11,274,283. New York, NY About Blog BET.com is your home for all the latest celebrity, music, fashion, entertainment and African-American news. Check out your favorite BET shows and watch video. Facebook fans 7,465,681. Twitter followers 2,091,236. About Blog Get the latest news about celebrities, royals, music, TV, and real people. Find exclusive content, including photos and videos, on PEOPLE.com. Facebook fans 6,848,718. Twitter followers 7,782,792. New York About Blog Media Take Out is a blog-style gossip website catering to people that are interested in celebrity news. It also claims it is "The Most Visited Urban Website in the World" because of the number of people visiting it daily. Facebook fans 5,402,991. Twitter followers 22,541. Facebook fans 12,033,329. Twitter followers 4,500,050. India About Blog Get latest bollywood news, film awards, celebrity updates, latest hindi movie releases and reviews only at Filmfare. Find celeb gossip, fashion with exclusive stories and pictures. Facebook fans 4,540,315. Twitter followers 4,236,812. About Blog Your ultimate source for breaking celebrity news. Red carpet fashion and juicy gossip is just a click away! Facebook fans 4,044,098. Twitter followers 225,602. Facebook fans 3,941,360. Twitter followers 339,938. About Blog Get today's top celebrity news, celebrity photos, style tips, exclusive video, and more on UsMagazine.com, the official website of Us Weekly. Facebook fans 3,664,035. Twitter followers 2,224,569. Facebook fans 3,539,000. Twitter followers 491,084. About Blog Bollywood Now is the online destination for hottest entertainment news, features, reviews, first look, box office collections, controversies, scandals, uncuts and much more. It is a one stop for all the latest gossip from the B-Town. Facebook fans 3,382,315. Twitter followers 33,577. Facebook fans 3,084,513. Twitter followers 202,245. New York, NY About Blog Entertainment, TV, politics, celebrity, fashion, and beauty news and commentary. Facebook fans 2,906,965. Twitter followers 4,600,556. Noida, India About Blog E24 is a one stop entertainment channel which targets avid fans of Bollywood and Television and keeps them updated with the hot news from the tinsel town. It believes in speed, accuracy and authenticity. Peek into the glitz and glamour of the industry with us as we take you on this showbiz ride. Facebook fans 2,720,503. Twitter followers 21,532. About Blog Your ultimate source for breaking celebrity news — get the latest on your favorite stars and the glamorous lives they lead! Providing fun, informative coverage of celebrity news fashion, beauty, relationships and lifestyle. Facebook fans 2,506,685. Twitter followers 241,516. San Francisco, LA, NYC About Blog POPSUGAR delivers the biggest moments, the hottest trends and the best tips in entertainment, fashion, beauty, fitness, and food, and the ability to shop for it all, in one place. Facebook fans 5,462,682. Twitter followers 192,865. California About Blog Entertainment news, the largest celebrity photo collection, movies, TV, music & polls for the pop culture obsessed. Facebook fans 2,055,108. Twitter followers 8,457. Facebook fans 2,514,739. Twitter followers 3,960. Facebook fans 2,011,563. Twitter followers 186,044. 25. MissMalini | Bollywood! Fashion! Beauty! Lifestyle! Bombay About Blog India's favourite source for the latest Bollywood & Indian TV news, celebrity gossip, fashion trends, beauty tips and lifestyle updates! Facebook fans 2,688,148. Twitter followers 2,753,242. New York Hollywood About Blog Celebrity news, photos, features, and just the right amount of shade. Facebook fans 1,749,423. Twitter followers 882,300. About Blog The hottest celebrity news from Yahoo Celebrity. Get the latest news and gossip on the world's celebrities with beautiful videos and photos. Facebook fans 1,469,690. Twitter followers 182,625. Mumbai, India About Blog is the worlds leading Bollywod News and Gossip Website. We are the go-to destination for the latest buzz, biggest moments, the hottest trends, and the best tips in entertainment, celebrity, fashion and beauty. Facebook fans 1,432,131. Twitter followers 846,078. About Blog For news and discussion of the entertainment industry. New York About Blog Original celebrity reporting on today's biggest names, plus the real conversation of the social web. Facebook fans 908,896. Twitter followers 80,733. 33. Bollywood Journalist | The Indian Film Industry. Unmasked. Mumbai, India About Blog We tell you stories from Bollywood. The stories that you wanted to hear but nobody told you before. Some of them are hilarious while most of them are shocking! Facebook fans 183,228. Twitter followers 613. Facebook fans 1,888,018. Twitter followers 295,780. Facebook fans 398,821. Twitter followers 735,138. Facebook fans 411,496. Twitter followers 10,129. 38. Oh No They Didn't! - The celebrities are disposable. The gossip is priceless. About Blog Oh No They Didn't (ONTD) is the premier online community for breaking celebrity gossip. Want to talk about the latest scandal? Join the club. Check out today's hottest stories and enjoy the snarky commentary. ONTD is home to thousands of opinionated fans who share a passion for all things pop culture. Facebook fans 18,533. Twitter followers 25,309. New York, NY About Blog Get the latest fashion trend reports, shopping guides and celebrity style news. Facebook fans 1,165,851. Twitter followers 221,642. Facebook fans 480,371. Twitter followers 120,826. About Blog Celebitchy is a gossip and entertainment blog written by Kaiser, Corey ,Hecate. Facebook fans 11,763. Twitter followers 11,303. 45. Lainey Gossip - Celebrity Gossip, News, Photos, Rumours. Facebook fans n/a. Twitter followers 94,740. New York About Blog Get breaking celeb and entertainment news, photos, and videos about all your favorite Hollywood stars from Wetpaint. Facebook fans 1,085,275. Twitter followers 84,222. London About Blog OK! magazine and our website, OK.co.uk, will always be first for celebrity news. Facebook fans 1,825,653. Twitter followers 565,847. 48. Go Fug Yourself - Because Fugly Is The New Pretty. Los Angeles, CA About Blog Go Fug Yourself chronicles the good, the bad, and the fugly of celebrity fashion and pop culture. Facebook fans 64,465. Twitter followers 107,818. Facebook fans 72,607. Twitter followers 359,612. Facebook fans 600,898. Twitter followers 263. Facebook fans 2,426,052. Twitter followers 191,509. Los Angeles About Blog Extra has the hottest celebrity and entertainment news, photos, gossip, scandals, videos, games, music, movies, television, star sightings and more! Facebook fans 1,020,656. Twitter followers 279,371. Canada About Blog Latest Entertainment News from ETCanada; your daily source for the latest Hollywood news, celebrity news, photos and videos. Facebook fans 126,240. Twitter followers 360,319. New York, NY About Blog Latina lifestyle, entertainment, beauty, fashion and news Latino celebrities. Latin music updates and style trends. Facebook fans 973,102. Twitter followers 156,525. Facebook fans 6,691. Twitter followers 15,814. About Blog Your ultimate source for breaking celebrity news — get closer to the stars you love! Facebook fans 75,753. Twitter followers 3,730. NYC About Blog Young, Black and Fabulous is one of the hottest black celebrity gossip sites on the net. Follow to get breaking news, exclusive stories, the fab, the foolywang and instant celebrity news. Facebook fans 36,594. Twitter followers 128,364. Atlanta, GA About Blog All about celebrities. Facebook fans 7,335. Twitter followers 43,892. 59. VIP Magazine - The home of Irish celebrities. Dublin City, Ireland About Blog Monthly, VIP is your Irish celebrity fix. Like our page for insider gossip, exclusive photos and competitions we want to win ourselves! Facebook fans 31,790. Twitter followers 28,630. Facebook fans 10,023. Twitter followers 23,215. Hollywood About Blog Socialite Life provides your recommended daily dose of pop culture nuggets, celebrity happenings and videos of cats playing patty cake brought to you in digestible bites. To be enjoyed with a martini (and with a sense of humor). Facebook fans 83,151. Twitter followers 20,213. Facebook fans 210,283. Twitter followers 229. 63. Male Celeb News - Check in on Your Favorite Male Celebrities and See What They've Been Up To! About Blog The latest in Male celebrity gossip, rumours, sightings, and entertainment news, male models, athletes, personalities, musicians, tv, movies, screen captures, reviews, trailer, and more! 64. Jasmine Brand - Providing the latest in pop culture, celebrity news and fashion. About Blog A sleek, savvy entertainment & lifestyle site that covers the latest news on the celebrity 'brand' which includes, popular culture, fashion and music. Facebook fans 45,855. Twitter followers 29,643. Los Angeles About Blog World's #1 Sports Gossip Blog - TerezOwens.com is your leading sources for sports gossip and sports celebrity news and sports celebrity rumors. Facebook fans 8,607. Twitter followers 46,576. About Blog Follow All About the Tea for the latest and breaking in celebrity, entertainment news with stories, photos, and videos from the hottest reality stars. Facebook fans 8,894. Twitter followers 2,120. About Blog For the latest celebrity and entertainment news, look no further than CelebMix. One Direction, 5SOS, The Vamps, Little Mix, Fifth Harmony and more. Facebook fans 13,195. Twitter followers 314,083. Facebook fans 164,401. Twitter followers 28,448. About Blog We feature baby fashion, baby names, baby trends and up-to-the-minute celebrity baby gossip, along with our archives of photos and articles, which keep visitors returning to this site several times a day to stay in the know of everything celebrity-baby. Facebook fans 23,522. Twitter followers 46,311. New York City About Blog Soap Opera Digest, America's number one soap magazine, provides behind-the-scenes scoops, breaking news, photos and interviews with the stars to hundreds of thousands of passionate daytime fans every week. Facebook fans 536,205. Twitter followers 120,877. New York, NY About Blog Hottest source of celebrity news and gossip, latest fashion trends , entertainment news , movies and much more. The best LOLs and OMGs! Facebook fans 731. Twitter followers 363. San Francisco About Blog WeSmirch distills the lastest buzz from popular gossip blogs and news sites every five minutes. Never miss another hot celeb story! The juiciest celebrity news from all around the web on a single page. Facebook fans n/a. Twitter followers 2,904. 73. All About The Truth - The Real Housewives | News. Dirt. Gossip. About Blog The Real Housewives Reality TV Shows website that dedicates and discusses the latest and greatest news, dirt and gossip. Facebook fans 18,782. Twitter followers 32,038. London About Blog Entertainmentwise tries to give you the latest gossip, the most enjoyable celebrity biographies, and overviews of the very best that the entertainment industry has to offer, from movies, tv shows to books and music. Facebook fans 35,791. Twitter followers 11,563. Facebook fans 14,894. Twitter followers 7,347. Indore, India About Blog Bollywoodcds.com provides latest Bollywood News, Movie Reviews, Video Songs, Bollywood Latest Wallpapers and celebrity information. Facebook fans 9,501. Twitter followers 24. United States About Blog Get daily updates about all your favorite Real Housewives; including exclusive and behind the scenes information, along with one-of-a-kind interviews. Get the latest Real Housewives News & Gossip here. Facebook fans 66,936. Twitter followers 44,326. 78. Karen Civil - Entertainment The Civil Way! About Blog Bringing you the latest entertainment news, music & interviews the civilized way! Facebook fans 995,145. Twitter followers 414,542. Uganda About Blog Showbiz, Events, News, Reviews, Proggie, Music, Videos and so much more..
Facebook fans 38,006. Twitter followers 3,996. About Blog The Real Mr Housewife blog is your number one source for reality TV shows: Real Housewives, reality television and celebrity news and gossip. Updated daily. Facebook fans 32,572. Twitter followers 30,699. Hollywood, CA About Blog Gossip Bucket is the ultimate celebrity news aggregator. A big swirling bucket of the latest rumors, celebrity news and Hollywood gossip from all over the web in one place. Facebook fans 123. Twitter followers 368. 84. Paparazzi Jamaica - Celebrity Gossips, Dancehall News, Reggae. Jamaica About Blog Paparazzi Jamaica provides the Latest News on Celebrity Gossips, Dancehall, Hip Hop and Reggae in Jamaica and Worldwide. Facebook fans 49,458. Twitter followers 659. About Blog Deepsofts is entertainment Blog, Bollywood and Hollywood Latest News, Current Affairs and Top breaking news of world wide, Movie News, Health & Beauty. Facebook fans 847. Twitter followers 178. About Blog Juicy Celeb is your source for celebrity gossip, rumors and entertainment news. Our mission is to get the latest and juiciest gossip in Hollywood! Facebook fans 41,049. Twitter followers n/a. About Blog Reality Blurb is an entertainment blog about reality TV shows, reality TV news and gossip, plus reality stars. Facebook fans 14,624. Twitter followers 356. About Blog Good Celebrity is your best source for positive celebrity news and interviews. The publicʼs obsession with the celebrity sleaze seems insatiable. The simple truth is we see far too little positive stories in todayʼs media marketplace. GoodCelebrity.com is the catalyst for these stories. Facebook fans 101,817. Twitter followers 4,743. About Blog OHMYGOSSIP is your ultimate source of celebrity life in its various forms - from celebrity news to business news, to fashion trends set & promoted by celebrities. OHMYGOSSIP's the perfect web home for all fans who want to be regularly updated on the latest and hottest from entertainment and fashion world. Blog by Helena-Reet Ennet. Facebook fans 43,328. Twitter followers 1,297,546. About Blog HollywoodNOW is your one stop shop for all the latest controversies and scoops from the tinsel town, break ups, patch ups, new movies, reviews and all your daily Hollywood Buzz. Facebook fans 28,385. Twitter followers 566. Facebook fans 1,630. Twitter followers 2,418. Los Angeles About Blog Splash News is the ONLY place for entertainment news on YouTube. We give you the hottest daily celebrity updates that guarantee you will stay on top of the latest Hollywood stories. We don't deal in gossip. We deal in fact. So whether you love watching Miley Cyrus twerking or hearing the latest on celeb breakups and makeups Splash News is the YouTube channel for you. Facebook fans 7,497. Twitter followers 28,550. Facebook fans n/a. Twitter followers 12,247. About Blog Amebobae.com is a website owned, deigned and managed by Bagwell's crew. The aim of this blog is to bring to the people the latest in Gossips, Inspirations, Culture, Lifestyle, Sports and firsthand information from Nigeria and all over the world. Our vision is to become the best amongst all and most importantly our future aim is being number one reliable news source in Nigeria. Facebook fans 237. Twitter followers 899. Austin, Texas About Blog ATX Gossip is a buzz worthy site for TV and film pop culture news with a side of snark. Facebook fans 1,195. Twitter followers 3,690. Hollywood, Los Angeles About Blog See my posts on the latest Celeb Gossip and the battle we are waging at the War On Hollywood blog. India About Blog The premier destination and most-widely trusted source for entertainment news..!! LehrenHollywood delivers the latest and best from Hollywood.. Covering entertainment happenings, news & celebrity gossip. Facebook fans 170,731. Twitter followers 16,435. London About Blog The Loose Women bring you daily chat and gossip, the biggest celebrity interviews and their very own book club Loose Books.It has a rotating panel and is hosted by Ruth Langsford, Coleen Nolan, Kaye Adams, Janet Street-Porter, Jamelia, Sherrie Hewson, Andrea McLean, Nadia Sawalha, Judy Finnigan, Gloria Hunniford, Penny Lancaster, Sharon Osbourne, Linda Robson and Jane Moore. Facebook fans 614,182. Twitter followers 583,539. About Blog TheBallerLife.com, formerly known as Ballerwives.com, is your daily news source for ballers, black celebrity gossip, dating, wives- girlfriends (wags),Photos Of NFL Wives, NBA Wives, Basketball Wives, Football Wives. A blog by Terrie & Bobby. Facebook fans 7,983. Twitter followers 6,586. NY About Blog One stop destination for the latest Black Celebrity News, Black Celebrity Gossip, Entertainment News, Celebrity Kids Style, helpful Parenting advice & more. Facebook fans 23. Twitter followers 11,190. Mumbai, India About Blog Gutsy, glitzy, fun and 'filmi', Cine Blitz is your monthly dose of everything and everybody who matters in the Hindi filmdom. With a legacy of 40 years, Cine Blitz is truly India's leading entertainment magazine encapsulating the ONE STOP CINEPEDIA! Facebook fans 33,956. Twitter followers 2,651. About Blog PleasantMorningBuzz.com is a celebrity gossip and current events blog. Facebook fans 54. Twitter followers 60,183. Los Angeles, CA About Blog Rincon Celebrity News aggregates celebrity news from around the world in one comprehensive location for your browsing ease. Facebook fans 13. Twitter followers 20,621. Los Angeles, CA About Blog The best source for fun news and interactions with your favorite movie, TV, fashion, sports and social media stars. The rawest paparazzi website. Breaking celebrity news and gossip. We are all about entertainment news, come check it out! Facebook fans 166. Twitter followers 1,931. 107. Celebrity Gossip - Gossips, Rumors, Celeb News and Dirt - UPDATED! Facebook fans 420. Twitter followers 523. Los Angeles, CA About Blog The Insider brings you the latest celebrity and entertainment news. We tackle the trending celebrity stories of the day, as well as exclusive interviews and in-depth reporting. Facebook fans 1,357,540. Twitter followers 284,135. About - The site covers celebrity, fashion, beauty, entertainment and baby news. Its explosive audience growth breaks traffic records on a near-monthly basis, with its most recent traffic at 36 million monthly uniques. About - Celebrity gossip blog with the latest entertainment news, scandals, fashion, hairstyles, pictures, and videos of your favorite celebrities. About - Perez Hilton dishes up the juiciest celebrity gossip on all your favorite stars, from Justin Bieber to Kim Kardashian. Are you up-to-date on Hollywood's latest scandal?! About - To offer the latest and brightest entertainment news, when and where you want it. About - Gossip gets glamorous! We bring you the latest celebrity news, high street fashion, amazing beauty buys, health, heart and happiness with You & Improved, exclusive interviews with your favourite stars. About - Celebrity Intelligence is an award-winning, industry-leading celebrity contacts, events and information resource, formerly Entertainment News and Red Pages. About - FemaleFirst is the UK's largest independent gossip, entertainment and lifestyle community, the preferred destination of over 2 million visitors each month! About - Latest Entertainment News from ETCanada; your daily source for the latest Hollywood news, celebrity news, photos and videos. About - HELLO! Canada brings you the latest celebrity & royal news from around the world, magazine exclusives, celeb babies, weddings, pregnancies and more. About - FLARE is your Canadian source for under-the-radar shopping picks, beauty tips, celebrity buzz, and hot takes on big topics that matter to millennial women. About - Your source for entertainment news, celebrities, celeb news, and celebrity gossip. Check out the hottest fashion, photos, movies and TV shows! About - The latest celebrity and entertainment news direct from the source, red carpet and beauty. About - Australia's most loved weekly magazine, featuring the latest celebrity news and goss, real life stories and pictures, exclusive interviews, recipes, health and wellbeing tips and so much more. About - Global entertainment news, celebrity gossip and interviews, latest movies, music videos, TV releases and showbiz commentary. About - Vogue India is the most trusted voice in fashion in the country, and our aims is to bring you the most relevant news on fashion, beauty, Bollywood, wellness, weddings, culture and more. About - India's favourite source for the latest Bollywood, Indian TV news, celebrity gossip, fashion trends, beauty tips and lifestyle updates! About - Get latest bollywood news, film awards, celebrity updates, latest hindi movie releases and reviews only at Filmfare. Find celeb gossip, fashion with exclusive stories and pictures. About - Get latest bollywood and celebrity news, bollywood movie reviews, trailers and promos. Explore bollywood actors and actress photos, videos and lot more about bollywood world at Bollywoodlife.com. About - Your number one source for Bollywood news & gossip, Bollywood movies, Bollywood fashion and TV news. Check out the hottest photos and videos of your favorite Bollywood and TV stars. 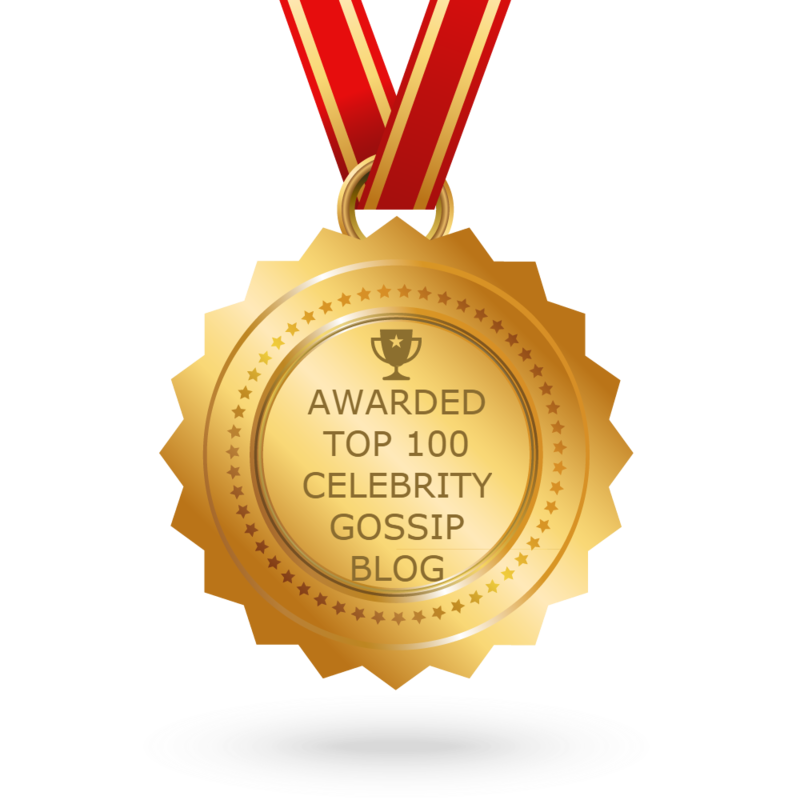 CONGRATULATIONS to every blogger that has made this Top Celebrity Gossip Blogs list! This is the most comprehensive list of best Celebrity Gossip blogs on the internet and I’m honoured to have you as part of this! I personally give you a high-five and want to thank you for your contribution to this world.